Fruit is always a great alternative to sweets and chocolate when you're craving something sweet. And just as we know fruit is healthier than confectionary, we're also well aware that too much fruit can be detrimental to diet because of the high sugar content. However some fruits can actually help aid weight loss, which is great news for dieters and fitness fans. We look at some of the best fruits to tuck into, as recommended by Fitness Republic. Masquerading as a vegetable and popping up in savoury dishes the world over, the avocado is in fact a fruit. The green flesh of this salad favourite helps speed up metabolism and increases testosterone, the hormone that helps weight loss in both men and women. 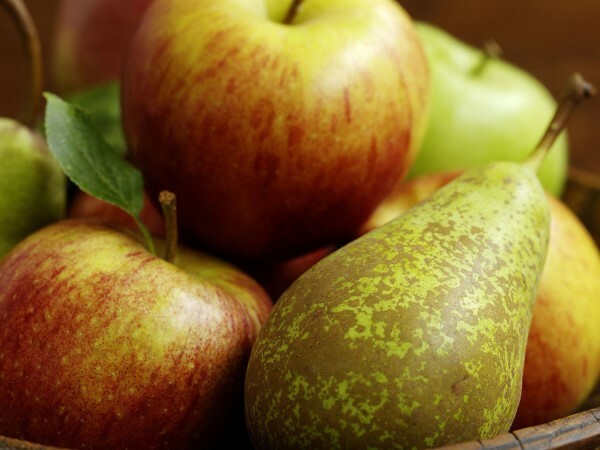 More than just cockney rhyming slang, the humble apple and pear are both excellent aids for weight loss. The high fibre content in apples will help you stay fuller for longer, as well as increase your metabolic rate. Pears are also packed full of fibre, so munch on these too. Remember though, the fibre is found in the skin so step away from the peeler. Hailed as a super food, blueberries are still very much en vogue. The tiny blue fruit is bursting with antioxidants which help rid the body of toxins. Toxins can lead to weight gain, so a diet rich in antioxidants is essential for maintaining a slim physique. Add to cereal or yogurt in the morning to get your daily hit. As well as fresh fruit, dried fruit can be an effective diet addition for keeping weight off. They can be good at burning excess fat and reducing cholesterol, which promotes healthy weight loss. Keep a bag handy throughout the day, but be careful not to overindulge. The citrusy goodness of a lemon is one of the best ways to detox the liver. Brew a cup of hot lemon water first thing for a healthy start to the day. The drink will help prevent fat accumulation as well as hydrating you for the day ahead.